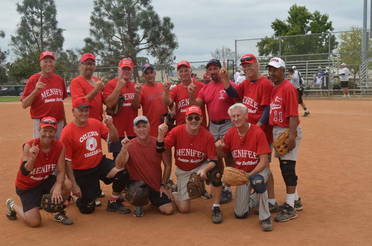 2012 San Diego Senior Olympics Softball Tournament. as the #1 Seed (3-1) then defeating the La Mesa and Fallbrook teams to take the title. to capture the 50+ division championship. 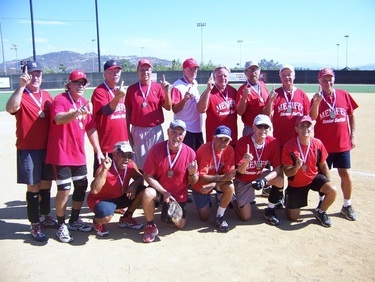 60+ Division (five teams) – 4-game round-robin for seeding followed by single-elimination.